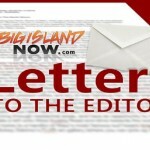 My letter, titled “Is Lava the Ultimate Lemon?”, appeared first in BigIslandNow in mid-June. In it, I proposed the concept of controlling our lava flow and in doing so, creating a brand-new industry (among other things). Based on comments received, it was clear I needed to add detail. The following attempts to do that. In comments appearing in West Hawaii Today (7/18/18), Stephen Schmelz, of DLNR of DOBOR, stated ‘….as with everything related to Kilauea’s current eruption, we need to be patient and see what develops in the future’. Other officials have voiced similar thoughts, one referring to coming events as ‘completely in Pele’s hands’. Although likely honest expressions of personal feelings, such comments reflect a deeply held island belief that the eruption is a ‘beyond any control’ event with no plans by state, federal or local agencies to intervene in any proactive way. In stark contrast, USGS recently reported that collapse of a section wall of a perched lava flow channel had caused an obstruction to the main flow, which then overflowed through the collapsed section. As a result, a significant diversion of the flow occurred (effectively, a sharp 90° turn). This is a clear example that the flow CAN be diverted. In this case, it was a ‘natural’ event which triggered the change, but this could well be duplicated with intelligent intent. 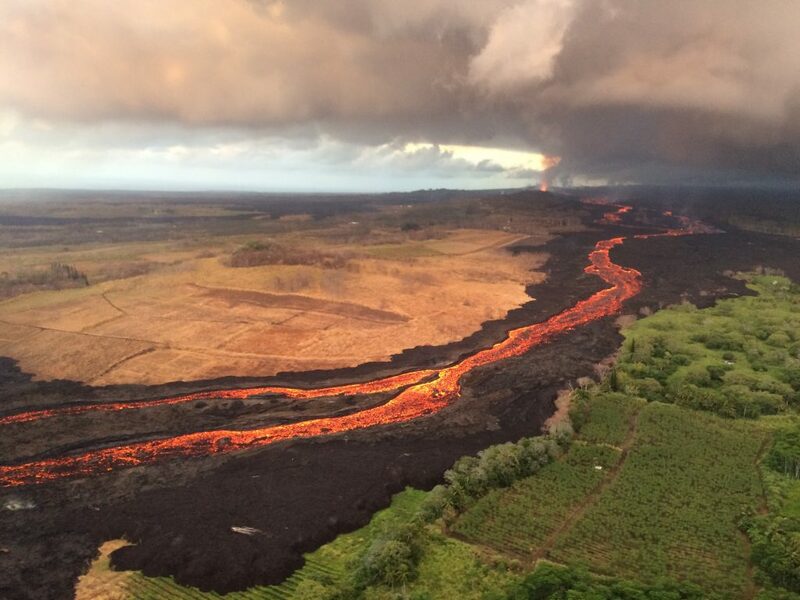 Without comment on whether the state is morally or legally obligated to make, fund or support such efforts, it’s clear that (a) the notion that lava flow is beyond any control, is a false premise and, (b) no plans or efforts to manage the lava flows have been attempted, therefore, concluding that it’s not possible is premature. The issue of air quality (island-wide) is a serious concern to residents and visitors alike. Unfortunately, the emissions from the eruptive fissure(s), flow fields and ocean entries present a widely separated set of sources. It is well-established that fume control is most effective when the source is restricted; the broader the source, the greater the difficulty. Fume hoods have been in wide use for the better part of a century dealing with many of the most toxic substances known. Volcanic emissions, while certainly dangerous, are relatively innocent by comparison. Fortunately, the proximity of the ocean suggests the use of low-cost, sea-water pumped, vortex aspirator/scrubbers as a good choice to gather the highest concentrations of emissions as close as possible to their source. By doing nothing to intervene, we are sending a message to ourselves and our visitors that we are helpless in the matter and have effectively ‘given up’. About the engineering and materials science. While my experience has been as an EE, much of my contact has been with industrial processes and, at times, ‘gritty’. I’m not unfamiliar with the processing of multi-ton batches of glass, quartz, steel and other materials at temperatures well above 3000° F. Nothing is friendly or safe at such temperatures. And yet, folks can and have spent years in these environments producing all manner of things. It can, and has, been done. Not to suggest that the process is equal to forming molten lava, but it involves most if not all the concerns others have noted. I don’t envision a high-tech, high-precision, high-accuracy, tight- tolerances production….. more like a low-tech, 19th or 20th century open hearth model of gravity driven, no reheating….. an open-form ‘casting’. More of a ‘foundry’ than a post processing facility. I’m not an industrial engineer, but this would be a mecca for an army of them. A close to endless supply of molten raw material at low to no cost. The issue of controlling the cooling profiles of the newly formed ‘castings’ could become costly since additional heat may be required. Fortunately, the proximity of the ‘foundry’ to the majority lava flow offers an excellent opportunity to use the heat (in a recirculating air-driven, heat exchange loop) of the bypass lava as a ‘free’ energy source to adjust the cooling profile. The composition of the molten lava and the cooling profiles would, together, likely result in vastly different material properties of the cooled lava and thus, the value of the finished ‘products’. An opportunity also exists to develop and deploy a newly conceived in-situ probe to be capable of providing realtime spectral analysis of the molten flow composition. Such a capability does not currently exist. A related side issue of no small consequence is the continuing seismic activity and its effects on the observatories on Mauna Kea. Although this relates to only a small portion of the total ‘island commerce’, the observatories contribute in subtle and often outsized ways so paying close attention to factors that affect them is important. Keck has recently reported ‘mirror tracking errors’ during 5.3-5.5 M temblors. These errors can be considered positioning ‘faults’, but they do not discuss the quality of observations during the ‘smaller’ temblors. It can be expected that the proposed TMT primary mirrors might have similar problems to a higher degree with the smaller 3.0-4.0 M temblors, numbering in the hundreds per day, thus diminishing the overall quality/desirability of the site. There may already be efforts underway to cope with these issues, likely direct transmission of seismic data to the observatories to explore correction algorithms. The emissions present a more difficult situation, but the fume remediation (discussed above) should relieve the situation, if implemented. What has not been publicly discussed is the radiative effects of the very large lava flow fields as a disruptive emitter in the very important mid to far IR bandwidth. An emerging area of research interest involves probing of the ‘exoplanet’ fields, a large portion of this work dependent on the so-called ‘red-shift’. Instruments operating in this mode are extremely sensitive to anomalies in the IR spectra. Managing the lava flows into more compact (smaller) fields results in less disruptive IR emission. It becomes clear that managing volcanic effects is good for the island, good for astronomy and good for tourism. Simply stated; The concept of managing our lava flow represents an opportunity for the organization of an entirely new industry for, and exclusively to, the island. A highly profitable industry, exclusively Hawaiian, first on earth, with an exportable knowledge base, expandable engineering capabilities as needs grow….. one that crosses all business and technology disciplines….. a win-win-win for all. The first of its kind….. here! What could possibly go wrong? Turns out, a lot could go wrong! A person I have come to admire and whose work and opinion I respect, a forty plus year resident, has explained to me in depressingly accurate detail why the concept will never be adopted. While agreeing that the technology and engineering is doable, he listed the difficulties and timeframes associated with rezoning proposals, EIS approvals, OSHA waivers, EPA signoffs and on and on. His estimate, ten years, if ever, made me stop and think. I don’t have a solution for the regulating processes, but I do have a thought. I had to agree (reluctantly) that he was right, it could not be done…… at least not the way things have traditionally been done. So, what other ways are there? Only one that I can see that has worked….. Pele’s way! No permits, waivers, signoffs, rezoning, approvals or committees. She simply did as she wished. Following her lead, we should; Create an enterprise zone. Define general objectives. Expedite all thinking. Eliminate the steps, departments and people which obstruct the process. Put an industry created board at the helm with the objective of validating the concept. Give them two years to self-fund, define, deploy and propose a way forward. Revisit in two years. Politics must stay out of it until it is complete. This is a job for engineering and industry. Pele has reclaimed what she perhaps felt was hers to begin with. Let her keep it in perpetuity and let us, and our heirs, ‘farm’ it only. Do this by deeding it back to Pele….. and continue to ask for her help and support. HVO VOLCANO WATCH: How Long Will it Last?